It’s so easy to relate to someone’s sorrows by saying, “Oh yes, that happened to me too.” A friend lost a job; well, you lost a job once. A friend lost a pet; well, your Fluffy got cancer and died. And speaking of cancer… or losing a parent or other loved one. It’s happening to your friend now, and you’ve got powerful personal stories to tell that will show your friend that you’ve been there too, and you know what she’s going through. Don’t. Just don’t go there. You don’t know what she’s going through, and frankly, she doesn’t care about your loss right now. That’s something I learned during a course in pastoral training: You relate to the person in pain by active listening. Not by telling your own stories. Ask questions: Tell me about your plans to find another job. What was something funny that Fido did? Can you tell me a story about your relationship with your aunt? What worries you most about getting chemo? Now is not the time to say, “I’ve been there.” The grieving friend doesn’t want to hear about your dead dog. He wants to talk about his dead dog, or at least, sit quietly with you while he mourns. Sure, if he asks, “Have you been there,” say “Yes,” and talk briefly. But this isn’t a conversation. It’s not a give-and-take, where you each share stories. No, you help by listening, not by talking. Read the story. And next time you’re tempted to share your own stories of loss with someone in pain… don’t. “Thou shalt not refer winkingly to my taking off my robe after worship as disrobing.” A powerful essay by Pastor Melissa Florer-Bixler, “10 commandments for male clergy,” highlights the challenges that female clergy endure in a patriarchal tradition — and one in which they are still seen as interlopers to church/synagogue power. And in this era of #metoo, it’s still not easy for women in any aspect of leadership, including Jewish leadership. In my life and volunteer work, I have the honor to work with clergy. 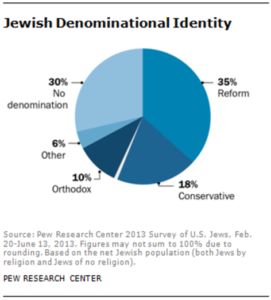 Many, but not all, are rabbis and cantors who come from the traditions of Reform Judaism. Quite a few are women. I also work with female Conservative and Reconstructionist rabbis and cantors, as well as female pastors and ministers. And of course, there are lots of male clergy from those traditions as well as the male-only Orthodox Jewish and Roman Catholic domains. Congregations, schools, seminaries, communities, and non-profits enjoy abundant blessings when employing and engaging with female clergy. However, that doesn’t mean that women clergy are always seen as first-class members of their profession, or that they are treated with the same respect as their male counterparts. In her recent lecture-essay “Women in Power: From Medusa to Merkel,” Mary Beard describes the pervasiveness of the cultural stereotype that power — from the halls of ancient Greece to the modern parliament — is masculine. Beard points out that “probably thousands upon thousands of readers didn’t bat an eyelid” at the suggestion that those seats of power were the property of men — possessions being “grabbed,” that is, taken away, by women. Pastor Florer-Bixler writes about sexism, and I cringe at having seen many of these behaviors, and not speaking out. Drawing attention to pregnancy, making sexualizing comments about “disrobing,” suggesting that a clergywoman should smile more, describing a female pastor’s voice as “shrill” — all expose the discomfort that men feel about women in “their” profession. More than just ridiculous humiliations, these stereotypes affect the ministries and careers of women in church leadership. One colleague discovered that a pastor search committee was told that for the salary they were offering, they should expect only women to be willing to serve. The committee was livid — not at the pay gap but at the idea that they would have to consider only women. Pastor Florer-Bixler offers some suggestions for making systemic improvements in how we — male clergy, lay leaders, everyone — should work with female clergy. Men have all-male theological traditions and ministerial roles to which they can retreat. Not so female pastors. If a woman stands up to this patriarchal tradition, she faces the accusation of intolerance. Women should not be expected to “get along” with sexist individuals, theologies, practices and institutions as if this were a price to be paid for church unity. What is the way forward? For one, men must do better. When male pastors co-opt ideas that have come from female colleagues, they must reassign the insights. When they learn of pay gaps, they must address them. When female clergy are outtalked or overtalked, male pastors must name the imbalance. They must read the sermons, theology and books of women. And decline to purchase books written by men who exclude women from the pulpit. Women are addressing this as we always have: through constant negotiation between getting the job done and speaking out against what is intolerable. In the meantime, we create spaces where women can begin to speak the truth of our power to one another. For now, this is what we have. The way forward will unquestioningly be slow, but we must be part of the solution. Let’s stop minimizing the problem or leaving it for someone else. Making a level playing field is more than men simply agreeing not to assault women, and this is not an issue for female clergy to address. Sexism is everyone’s issue. All of us must own it. And I, speaking as a male lay leader who works with many female clergy, pledge to do better. On this day before Thanksgiving (a U.S. holiday), let me share the concept of Shehecheyanu Moments. The Shehecheyanu is a prayer of thankfulness. Many Jews say the prayer immediately after the first time you do or experience something new and wonderful, or right after you experience it for the first time in a long time. Every single day, you do or see something new or new-ish, maybe sacred, maybe part of your daily life. It might be seeing a new rainbow. It might be welcoming your adult son home after six months away. It might starting a job or landing a client. It might be installing a new battery and having the car start right up. It might be hearing goldfinches sing after a few months’ absence. 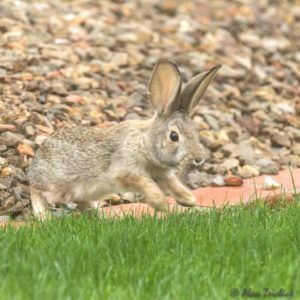 It might be watching a baby bunny hop across the garden. It might be tasting an interesting wine varietal or flavor of herbal tea. It might be hugging friends this Thanksgiving you haven’t hugged since last Thanksgiving. Treasure and acknowledge (even if only to yourself) those Shehecheyanu Moments. They truly sustain us, and teach that each and every day, life fills us with joy and blessings. The sun is going to disappear on Monday. It is going to be hidden. The Chinese thought that a dragon was eating the moon. The Romans thought that the sun was poisoned and dying. Universally, they were seen as a time of fear. Jews understood that the moon was passing between the sun and earth creating that shadow. And while I am fond of saying that there is a blessing for everything in Judaism, apparently, there is no blessing for an eclipse, while there is for hail, rain, rainbows, flowers. All sorts of natural wonders. But not an eclipse. The rabbis knew about eclipses. They could even accurately predict them, well into the future. Rambam, the famous commentator was a rabbi, a physician and an astronomer. Reading down, I was delighted to discover that she cited and reproduced my own poem. 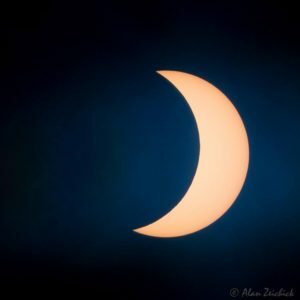 Perhaps Alan Zeichick, a lay leader and former North American board member of the Reform movement, captured it best in his poem he wrote for Selichot after seeing a partial eclipse. https://alanzeichick.com/wp-content/uploads/people.jpg 828 1500 Alan Zeichick http://alanzeichick.com/wp-content/uploads/alan-zeichick-logo.png Alan Zeichick2016-08-10 11:44:082017-03-20 11:47:06People or programs: What's the best for your synagogue? This essay was originally published on the Reform Judaism blog on September 2, 2015. I was inspired to write this poem after reading Rabbi Eliezer’s teaching in Pirkei Avot that advises us that because it is not possible to repent one day before we die – because we don’t know when that will be – we should repent daily, and live always in a state of repentance. 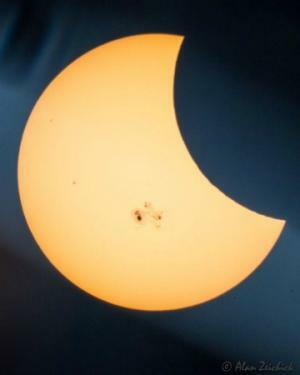 The poem – together with the accompanying photograph, which I took in Phoenix, AZ, during a partial solar eclipse on October 23, 2014 – will be on display as part of Temple Chai’s Selichot art exhibit, which is modeled after Before I Die…, an interactive communal project that began in New Orleans in 2011 and has been replicated in 70 countries. Every day, I see the Face of the Sun. Before I die, I want to know the Face of God. The Face of God is like the Face of the Sun. The Face of God is not like the Face of the Sun. The Sun is 93 million miles away, its light and warmth are everywhere. God is both far away and nearby at the same time. The Sun nurtures us, yet does not know we exist. God nurtures us and God created us. Astronomers and physicists struggle to understand the Sun. Rabbis and philosophers struggle to understand God. To touch the Sun would be to die instantly. We touch God and God touches us every day. To stare directly at the Sun without protective lenses is to risk blindness. The Sun has existed for billions of years and will exist for billions more. God has always existed and always will exist. The Sun is so bright it washes away the stars. God’s light, the Shechinah, illuminates the deepest darkness. The Sun warms the Earth even at night when we do not see. God warms our souls even when we do not believe. The Sun’s light consists of photons, which are simultaneously particles and waves. God’s light of creation, the ohr ein sof, is limitless spiritual energy. The Sun appears unchanging yet sunspots and flares show that it does change. God appears unchanging yet Torah teaches that God does change. The Sun exists through the tension between gravity and nuclear fusion. God exists because God exists. I always know that the Sun exists. Some days, I am not sure that God exists. The Sun’s energy comes from hydrogen fusing into helium. The Sun’s energy comes from God. Life is unimaginable without God. With the right camera and filters, I can photograph the Sun. With the right teachers, I can study God and be enlightened. Every day, I can see the Face of the Sun. This essay was first published on the Reform Judaism blog on July 6, 2015. Although Moses had a marvelous opportunity to see where he had led his people, the act of taking the Israelites across the border – and fighting for the milk and honey – was left to the next generation of leaders. Indeed, part of being a good leader is knowing to ask (and helping to answer) the question, “What will success look like?” In other words, what do milk and honey look like, both literally and metaphorically? Moses faced this question on Mount Abarim; synagogue leaders face it during every board meeting and on all the days in between. In Moses’ case, success was looking down over the Promised Land after leading the Israelites on the 40-year journey to get them to the border. It wasn’t his job to lead them further. Likewise, being a synagogue leader doesn’t necessarily mean it’s our responsibility to implement the congregation’s vision. We can start the process, but ultimately it’s not our job to own the plan forever. It is natural to expect that others will follow us in leadership roles. Pirkei Avot teaches, “It is not incumbent upon you to complete the work, but neither are you at liberty to desist from it” – and for temple leaders, there’s no better teaching. Just as Moses did not complete the work of bringing his people into the Promised Land, it’s not always our job to complete the tasks of this board or that committee. Trustees will vote on budgets in 2025 and 2035 and 2045. They will write new strategic plans and make important decisions for years and years into the future. Parashat Pinchas reminds us that just as Moses and God drafted Joshua to succeed Moses, part of our leadership responsibility is to envision and ensure a future in which others – with the potential and know-how to be good leaders – follow in our footsteps. Even as we boldly approach today’s projects and challenges, preparing for a leadership transition is an equally essential part of our job. How did your predecessors prepare for the transition to a new generation of congregational leaders? How are you preparing for the next generation of leadership in your congregation? This essay was first published on the Reform Judaism blog, and was adapted from an article I wrote in December 2013 for the monthly Bulletin of Peninsula Temple Sholom in Burlingame, Calif. Some Jewish families light Shabbat candles every Friday night. That is authentic Reform Judaism. Some families rarely or never light Shabbat candles. That, too, is authentic Reform Judaism. Reform Judaism is both a living religion and a vibrant culture. As Reform Jews, we are charged with using the Torah as a guide to living meaningful lives and making the world a better place. We carry out rituals and maintain traditions that add meaning to our lives. It’s up to us to make informed, educated decisions about which rituals and traditions we will follow, both in our homes and in our synagogues. As a result, some in our congregations keep strictly kosher houses, never eating non-kosher food outside the home. That’s authentic Reform Judaism. Others cook and enjoy bacon cheeseburgers and other non-kosher fare. That’s authentic Reform Judaism too. Some say that “ethnic food” means corned beef and matzo ball soup; others prefer a little shrimp or stir-fried pork on their Passover rice. Both are authentic Reform Judaism. What about holidays? Congregants build sukkot every year, host Passover sederim, light candles each night of Hanukkah, and fast on Yom Kippur. Well, some do. Other congregants never do any of these things, ever. Some families observe one day of Rosh Hashanah and seven days of Passover; others follow two days of Rosh Hashanah and eight days of Passover.the monthly Bulletin of Peninsula Temple Sholom in Burlingame, Calif.Each of these practices represents authentic Reform Judaism. Do you come to Friday evening or Saturday morning services to observe a yahrzeit? Do you put on tefillin? Do you attend Torah study? If so, you are an authentic Reform Jew. If you don’t know what tefillin are, you are still an authentic Reform Jew. Do you believe women should wear tallitot and read from the Torah? Some Reform Jews ascribe to this belief, others do not. Do you trace your Jewish lineage in an unbroken line from great-grandmother to grandmother to mother to you? You are an authentic Reform Jew. Does your Jewish heritage come from your father only? Are you a Jew-by-choice? Each of you is an authentic Reform Jew. Such diversity is our strength, and demonstrates just why Reform Judaism is the largest, fastest-growing Jewish denomination in North America. In early December 2013, 5,000 Reform Jews attended the Union for Reform Judaism (URJ)’s Biennial Convention, gathering together to study, to pray, to teach, to learn, to share ideas, to get in touch with our spirituality, to celebrate, to hear from leaders of our Movement and our world, to sing, to dance, to worship, to inspire and to be inspired. The amazing Biennial — as it always does — celebrated the diversity of authentic Reform Judaism — both here in North America and throughout the world. Over time, we have seen rituals come and go, traditions reinvented and reinterpreted. Constant change — the foundation of Reform Judaism — is here to stay. With it, we are free to re-evaluate of what works, what is meaningful, and what speaks to our collective minds, souls and spirits. As a URJ board member, I’m privileged to attend worship services at Reform synagogues all over North America — from Berkeley to Boston, from Dallas to Denver, from Seattle to St. Petersburg, from Los Angeles to Las Vegas, from Portland to Phoenix, from Burlingame to Brooklyn. 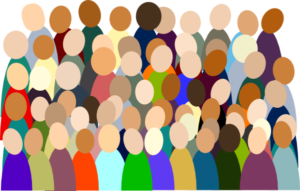 We can see the diversity of Reform Judaism in our Movement’s nearly 900 congregations, where, it seems, every possible practice can be found. Every shul is unique, yet we are all the same. Some synagogues use Mishkan T’filah, some use Gates of Prayer, others use homemade siddurim. Every rabbi, every cantor, the music and the readings, the customs and the rituals — they’re all unique, they’re all the same. Most of all, each and every one is authentic Reform Judaism. 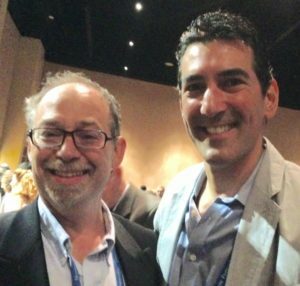 The onegs, the motzi, where the candles are lit, what’s in the kiddush cup on the bima, the ways that members, leaders, young people and guests are engaged — it’s all the same, it’s all unique, and each demonstrates authentic Reform Judaism. I am proud — and I hope you are, too — to be part of the most vibrant Jewish movement in North America. I am proud to be part of a movement that is authentic, organic, energetic, growing, engaging, advancing, evolving, and moving. Indeed, authentic Reform Judaism never stands still; it is, in fact, why we are a movement. My favorite part of the b’nai mitzvah ceremony at PTS is the l’dor vador presentation of the sacred Torah. From grandparent to grandparent, from grandparent to parent, from parent to parent, from parent to child, we pass down our most treasured symbol, and with it, we pass along our hopes, our dreams and our roles. The l’dor vador is beautiful to watch. It’s even more beautiful, and even more touching, when you receive the Torah from your parents, and then hand it off to your own child, as Carole and I did in December 2006. Michael’s becoming a bar mitzvah, a son of the commandment, was truly a liminal moment. A time of significant change. An inflection point. Our lives would never be the same after that. We are at another inflection point, probably one that means more to me than to you. My term as President of the Board of Trustees ends on June 30. Wow. So much has changed and evolved in this kehila kedosha, this blessed community. As the torch of lay leadership moves on, we are experiencing many liminal moments at Peninsula Temple Sholom. Let me share some of them with you. Changes to our clergy team. As you know, Rabbi Rebekah Stern heads across the Bay on July 1. The hard-working Rabbinic Search Committee, co-chaired by past president Keith Tandowsky and by board vice-president Lauren Schlezinger, remains hard at work. As of this column due date (early May), the search is still ongoing. Like you, I am a little antsy, but am confident that the process will result in an excellent clergy plan for our PTS community. A new title for Allison Steckley. Allison’s first year at PTS as a preschool teacher was the same year that Michael started preschool. Allison followed Cindy Common and Bobbie Goldstein as Preschool Director – and the board recently upgraded Allison’s title to Director of Early Childhood Education. Under Allison’s leadership, and thanks to her vision, the Preschool goes from strength to strength. Transitioning of Brotherhood. It’s a sad reality, but congregational participation in Brotherhood has declined significantly over the past few years. In April, the Brotherhood board voted to suspend activities as a Temple auxiliary as of June 30. Let me thank everyone who participated in Brotherhood for their myriad contributions to PTS, and especially acknowledge president Alex Wilkas, treasurer Michael Battat and immediate past president Habib Lichaa for their incredible hard work, commitment and leadership. Creation of a new Caring Community program. We heard many messages in our Kolot conversations, and one is that many congregants need more personal support from the PTS than the leadership has realized. I am thrilled that board member Linda Korth is heading a task force to reimagine the Caring Community at PTS as part of our Sukkat Shalom. Linda is working closely with Rabbi Dan Feder, executive director Sandy Silverstein, and many others. Look for exciting news to come out about Caring Community over the past year, along with ways for you to participate. Spiritual Center and Chapel renovation. The new Jack & Candee Klein Spiritual Center, will be a complete reinvention of three rooms, currently known as the chapel, the corner room and the computer lab. (The corner room will be remodeled and become the new Lent Chapel.) This miracle is due to the incredible generosity of the Jack and Elisa Klein Foundation – thank you! The construction will happen this summer and the new space will completed before Preschool and Religious School open in the fall. Let me thank past president Diane Goldman, who is chairing the project, and everyone involved, for their amazing work. Continuing evolution of Kolot. The Kolot Steering Committee, co-chaired by board member Heidi Schell and by Neal Tandowsky, has already launched Phase II of the Kolot (“Voices”) project. Working together with Sister Judy Donovan and Joaquin Sanchez from the Industrial Areas Foundation, we are becoming closer as a community — and discovering what our common values are. (See the comments above about the Caring Community as one of the first fruits of Kolot.) We are going places, and we will make a difference. Fresh lay leadership for PTS. The 2014-2015 Board of Trustees takes office on July 1 under incoming president April Glatt. This temple has an incredibly wonderful and dedicated board, and April is a blessing. It been an honor to contribute to the PTS board, which I joined 2007, under presidents Karen Wisialowski, Keith Tandowsky and Brian Hafter. All three have been my mentors and my role models. Thank you, Karen, Keith and Brian, for your leadership, and for providing me with this opportunity to serve. Transitions for the Zeichick family. In July, Carole and I will move to Phoenix. This brings us much closer to our son Michael (who is stationed at Twentynine Palms, Calif.) and to our many cousins who live in the area. After 25 years in the Bay Area, we are ready for new adventures and for high-temperature fog-free living. We aren’t disappearing entirely: Carole and I will visit PTS whenever we come back for business and pleasure. 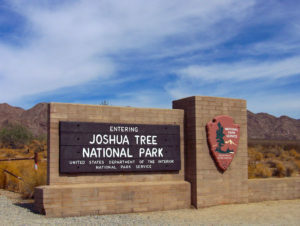 We also hope to see you when you go to Scottsdale for Giants spring training or otherwise visit the Valley of the Sun. 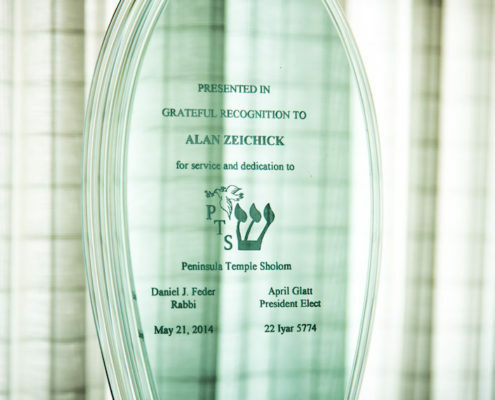 This is where I say thank you to all the past presidents, who have shown us so much kindness; to everyone I have served with on the board; to Rabbi Dan Feder, Rabbi Rebekah Stern and Cantor Barry Reich; to Sandy Silverstein, Allison Steckley and Eran Vaisben; to all the hard-working Temple staff; to all committee chairs and members; to every volunteer and donor; and to everyone Carole and I have prayed with, studied with, worked with, shared a meal with, mourned with and laughed with. You are all b’tzelem elohim, created in the image of God. Dear friends, Peninsula Temple Sholom has been our spiritual home for many years. You have provided us with a shelter of peace, and given Michael a wonderful Jewish education and solid moral center. For that we shall always be grateful. Our love for this sacred community will endure forever. Yevarechecha adonai veyishmerecha. Ya’er adonai panav elecha veyichunecha. Yisa adonai panav elecha veyasem lecha shalom. May God bless you and keep you. May the light of God shine on you and be gracious to you. May the presence of God be lifted over you and may God bless you with peace. Mah tovu ohaleha, Yaakov, mishk’notecha Yisrael! Vaani b’rov chasd’cha, avo veitecha, eshtachaveh el heichal kodsh’cha b’yiratecha. How fair are your tents, O Jacob, your dwellings, O Israel! I, through Your abundant love, enter Your house. I bow down in awe at Your holy temple. Peninsula Temple Sholom is beautiful. You see it when you enter the parking lot – the beds of roses, the trees, all the landscaping. Two lovely buildings, one with our Sanctuary, Social Hall, and administrative offices; the other with our Preschool and Religious School. High ceilings, inspired architecture, lots of light. PTS is more than a synagogue. It’s a work of art. That is not why PTS is beautiful, however. The beauty is in you. In your friends and family. In babies, children, teens, young adults, empty nesters, seniors. In our community. Our temple is a tent, as in the words of Balaam in Parshat Bamidbar, where the Mah Tovu blessing comes from. Yes, it’s a permanent tent, not a moveable one. Our tent has a dome and a bimah, a sacred ark holding our Torah scrolls, classrooms and playgrounds, gift shop and kitchens and bathrooms. Space for dancing and singing, for learning and teaching, for praying and laughing, and for hugging and crying. Look around PTS the next time you are there for a worship service, or for a class, or to pick up your kids, or even for a committee meeting. In the buildings and spaces, you will see the work of generous donors and gifted architects, maintained by our hard-working staff and custodians. In the face of your fellow congregants, you see something even better. Friends, family, fellow congregants, we are all created b’tzelem elohim, in the image of God. Peninsula Temple Sholom is where we, b’tzelem elohim, come together as Jews. Sometimes we come together in groups, to worship on a Friday night or Saturday morning, celebrate a bar/bat mitzvah, take a class, eat a festive meal. 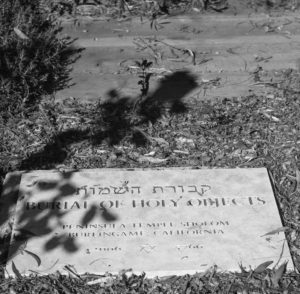 Sometimes we are here to meet with the rabbi, to prepare for a baby naming, or cry before a funeral. When times are good, many of us take PTS for granted. We focus on our jobs, our families, the Giants, mowing the lawn, filling out college applications, worrying about aging parents, schlepping kids to soccer practice. A million and one things. What does the Temple mean most of the time? If we have school-age kids, taking them to Religious School. If we have kids getting ready for b’nai mitzvah, taking them to lessons with the Cantor. If we are at the anniversary of the passing of a loved one, going to say Kaddish. If it’s around the High Holy Days, it means making sure we have our tickets for Rosh Hashanah and Yom Kippur services. And going to Friday night services only if our kids are on the bimah or if we have nothing else going on. Yes, all too often, that’s the sum total of our Temple experience. When times aren’t so good, things change. The Temple is where we turn, whether it’s to the clergy, the staff, or our fellow congregants. That’s when we need PTS the most. And our Temple community is always, always there for you. Being president of the PTS Board of Trustees, I’ve learned that while many congregants only interact with the Temple occasionally, the clergy and staff are on duty 365 days a year. Services happen every week, whether you attend this week or not. Religious school is convened each year, whether you have a child there or not. Adult education classes are taught each week, whether you sign up or not. The rabbis make pastoral visits to homes, to hospitals, and to hospice, even if nobody in your family is ill. Weddings happen, whether or not you are invited. Funerals happen, whether or not your loved ones have passed on. This costs money. PTS is a big organization, with a lot of expenses. Salaries, health care, utilities, equipment, supplies. We have nearly $3.3 million dollars in expenses projected for 2014-2015. Fortunately, the Temple is in a healthy financial state. Through dues, donations and school fees, we are able to balance our budget each year, including the forthcoming fiscal year that starts July 1. To be direct: It’s not easy balancing the budget. Many expenses go up every year, from payroll to health care to supplies to utilities. We are still paying off the mortgage taken out for the Sanctuary and Social Hall renovations and construction of the Raiskin Torah Center. Maintaining and upgrading our aging infrastructure is not cheap. Compounding the challenge: Even in this improving economic climate, many families are unable to contribute meaningfully to the Temple. They pledge far less than their fair share of the costs of operating our synagogue. Because it’s our Jewish value to never turn anyone away, that means we ask everyone else to contribute more. That’s where you come in. This is the season when the Temple asks congregants to commit to their giving for the 2014-2015 year. You will receive a letter in the mail soon asking for an increase in your annual pledge to PTS. We hope you will answer this call. Peninsula Temple Sholom is a tent, a shelter, and a blessing. Whether in good health and strength, or in weakness and need, we are all created b’tzelem eholim, and you are the real beauty of PTS. Thank you for your generosity, and I look forward to seeing you at the Annual Meeting & Conversation on Wednesday evening, May 21. Did you know that we are safeguarding a Holocaust Torah at Peninsula Temple Sholom? You can see the scroll in the Raiskin Torah Center building. It’s in the display case with the yellow Torah cover dedicated in loving memory of Cantor Israel Reich z”l and Helen Raiskin z”l. Since 1973 your congregation has been guardian of Scroll Number 890 from Rakovnik. This is one of the 1564 Czech Torah Scrolls collected by the Nazis from Bohemia and Moravia, which were eventually rescued by Westminster Synagogue and brought from Prague to London in 1964. Each Scroll is a symbol of a people and its indestructible faith, which must surely have been a continuing source of inspiration to your community. On a wet and windy day in February 1964, the first of two consignments of scrolls arrived at Kent House in London, the home of Westminster Synagogue. They were met by Rabbi Reinhart and a group of his congregants. They were unloaded from the trucks which had crossed Europe from Prague and laid out in the marble entrance hall of the Synagogue, like so many lifeless bodies in the polythene shrouds that had protected them in the Michle Synagogue. On the second floor of the old Victorian building (the original house had been the home of Queen Victoria’s father), wooden shelves had been erected to receive the scrolls. They were carefully laid out, side by side, with their labels showing. As the labels did not always tally with the original lists, one of the helpers’ first tasks was to re-label them with a new series of numbers which could be entered on to index cards, with any information that could be gleaned about the scroll, its condition, place of origin and any other information available. The task of examining every one of the 1,564 scrolls could then begin, for each one had to be carefully unrolled, scrutinised and recorded. Some were in appalling condition, burnt, damaged by water or otherwise torn and soiled. 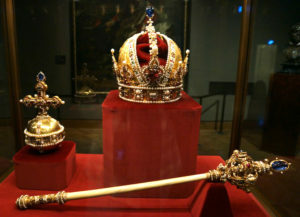 Many were too bad to be used again, but many were good enough to merit careful cleaning and restoration. The new life of the Scrolls was about to begin. April Glatt — a member of the Board of Trustees since 2008 — has been elected as the next president of the congregation. The election took place in the February Board meeting, and her term will begin on July 1, 2014. Our Board elects incoming presidents each February for a one-year term, and it is usual and customary for a president to serve two back-to-back terms. (There is a two-term limit for the president, and an eight-year term limit for trustees.) Thus, while technically April’s elected term lasts through June 2015, we should expect her to serve as the Board president through June 2016. April’s work on the Board has been exemplary as chair of a wonderful congregational fundraiser, as membership chair, and for the past two years, as chair of the Board’s Personnel Committee. April is a close advisor, as well as a dear friend. I am incredibly excited about April’s vision for the congregation. Under her leadership, Peninsula Temple Sholom will go from strength to strength. As we say five times each year when we conclude reading one book of the Torah and transition to the next, chazak, chazak v’nitchazek! Each May, Peninsula Temple Sholom hosts an Annual Meeting, which is your opportunity to hear reports from the Board President and the clergy, as well as see the budget and elect new Trustees to the Board. If you have attended a recent Annual Meeting, you’ll know them to be fairly dry. Lots of reports, lots more reports, and then, well, more reports. PowerPoint! At the Annual Meeting, congregants hear from the leadership, but the leadership does not necessarily hear from the congregation. This year, we are transforming the Annual Meeting into an Annual Meeting & Conversation. The program will still have reports — but the reports will be fewer and shorter. In the spirit of Kolot, we will add opportunities for everyone to get to know one another better, and to provide meaningful input to the clergy, staff, and lay leadership of the congregation. The Annual Meeting & Conversation will take place on Wednesday evening, May 21. Please mark your calendar — and please add your voice to the conversation. The Torah is big on counting. Members of tribes, size of armies, measurements of the Ark of the Covenant. The fourth book of the Torah, B’midbar (also known as Numbers) starts out with a census. We continue counting things today, like the 613 mitzvot (or commandments). A Passover seder is filled with counting, counting, and more counting, culminating in the song Echad Mi Yodea – Who Knows One? 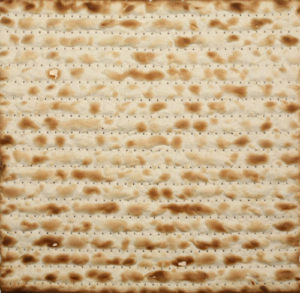 Although Passover is coming up soon, let’s not think about matzah and maror until the end of this article. Before that, let’s take a look at some of the vital statistics behind Peninsula Temple Sholom – statistics that the Board of Trustees and professional staff think about and talk about every month. It’s time to make plans! Peninsula Temple Sholom will host our traditional second night Community Passover Seder on Tuesday evening, April 15. Carole and I look forward to seeing you there. What about the first night of Passover on Monday, April 14? Many in our congregation will observe the seder with their families, of course. 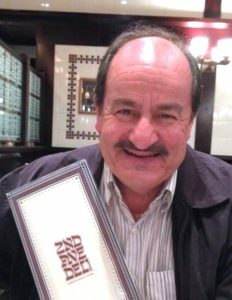 If you don’t have extended family in the Bay Area or want a different experience this year, please join us at the 35th Annual First Night Community Seder at the San Francisco JCC, led by Rabbi Batshir Torchio. The seder features a kosher meal with chicken, matzo ball soup, and more. (There are gluten-free and vegetarian options, too.) Carole and I will be attending. Please join us! Happy New Year! While this is the February 2014 edition of the Bulletin, as I write it’s the last few days of December 2013. This time of year, the mind is seduced into retrospection and future thinking. The Biennial was packed with moving worship, music, classes and speeches by individuals like Rabbi Rick Jacobs, President of the URJ; Benjamin Netanyahu, Prime Minister of Israel; Joe Biden, Vice President of the United States; Mark Bittman, food columnist for the New York Times; Anat Hoffman, executive director of the Israel Religious Action Center and chair of Women of the Wall; Rabbi David Ellenson, retiring President of Hebrew Union College; and Neshama Carlebach, music superstar and daughter of Rabbi Shlomo Carlebach. This Biennial also celebrated the 100th anniversary of Women of Reform Judaism. Our own Michele Katz is a member of the WRJ North American Board of Directors, and Shari Carruthers is Area Vice President for the WRJ Pacific District Board of Directors. They, along with PTS Sholom Women President Esther Emergui Gillette, and Incoming President Nancy Sturm, were very busy at the WRJ Biennial. It is not too early to mark your calendar for next URJ North American Biennial, Nov. 4-8, 2015, in Biennial. I hope you will join me there. We must practice audacious hospitality to everyone who visits PTS, new members of our congregation – and every family in our community. Welcoming Interfaith families into our community is a good beginning, but it is not sufficient. We must continually build and strengthen our Caring Community to address the physical and spiritual needs of our people. We must focus on why people choose to seek out and join a Jewish community – the real reasons, not the temporal or transactional reason (like needing a bar/bat mitzvah). As Reform Jews, we must define our own Judaism. We must not continue letting Orthodox Jews define Judaism to our community and the wider world. The Temple leadership must remain visionary and forward-thinking. We must be bold and take risks. We must never be complacent. We must not be afraid to experiment and fail. We must think outside the walls of our buildings. We have a Sanctuary, a Preschool and a Religious School, but that is not who we are – we are more than that. Music is central to worship, whether it’s Shabbat, festivals or High Holy Days. Nothing reaches souls like music. Members of the PTS community want to be known, to know that their presence is welcomed, and their absence is felt. If they don’t feel this way, we haven’t done our job as leaders and as a community. As everyone should know by now, Rabbi Rebekah Stern will leave Peninsula Temple Sholom when her contract ends in June 2014. She will take up a new pulpit position of Associate Rabbi across the Bay at Congregation Beth El in Berkeley. That’s the synagogue she grew up in, and where her daughter Leora attends Preschool. We rejoice that Rabbi Stern will work closer to her home, and will share her rabbinate with her family. May the New Year of 2014 be good to you and your family. See you around the Temple! 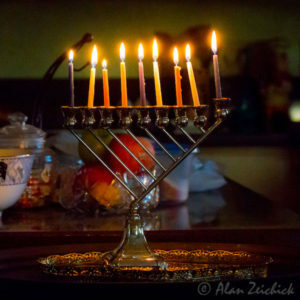 Some PTS families light Shabbat candles every Friday night. That is authentic Reform Judaism. Some families rarely or never light Shabbat candles. That, too, is authentic Reform Judaism. Reform Judaism is both a living religion and a vibrant culture. As Reform Jews, we are charged with using the Torah as a guide to living meaningful lives and making the world a better place. We carry out rituals and maintain traditions that have meaning in our lives. It’s up to us to make informed, educated decisions about which rituals and traditions to follow, both in our homes and in our synagogues. That’s why some in our congregation keep strictly kosher homes, and won’t ever eat non-kosher food outside the home. That’s authentic Reform Judaism. Others cook and enjoy bacon cheeseburgers. That’s authentic Reform Judaism too. Some say that “ethnic food” means corned beef and matzo ball soup; others prefer a little shrimp or stir-fry pork on their Passover rice. Both are authentic Reform Judaism. What about holidays? PTS congregants build a sukkah every year, host a Passover seder, light candles each night of Chanukah, and fast for Yom Kippur. Other congregants never do any of these things. Some families observe one day of Rosh Hashanah and seven days of Passover; others follow two days of Rosh Hashanah and eight days of Passover. All represent authentic Reform Judaism. How do you choose to observe? Do you come to services to observe a yahrzeit? Do you put on t’fillin? Do you attend Torah study? If so, you are an authentic Reform Jew. If you don’t, you are also an authentic Reform Jew. Do you believe women should wear a tallit and read from the Torah? Some Reform Jews do, and others do not. Do you trace your Jewish lineage in an unbroken line from great-grandmother to grandmother to mother to you? You are an authentic Reform Jew. Does your Jewish heritage come from your father only – or are you a Jew by choice? 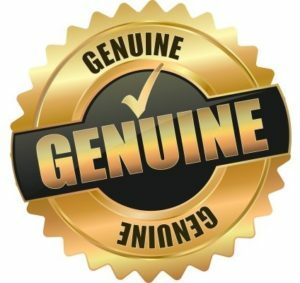 You, too, are an authentic Reform Jew. This diversity is our strength, and demonstrates why Reform Judaism is the largest, fastest-growing Jewish denomination in North America. In early December, more than 5,000 Reform Jews will attend the Biennial Convention of the Union from Reform Judaism. 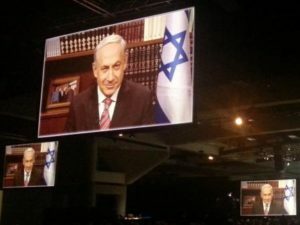 We will gather in San Diego to study, to pray, to teach, to learn, to share ideas about synagogue management, to get in touch with our spirituality, to celebrate the 100th anniversary of Women of Reform Judaism, to meet with Israeli Prime Minister Bibi Netanyahu, to inspire and to be inspired. I am looking forward to attending, as are Rabbi Dan Feder, our executive director Sandy Silverstein, and a large delegation from PTS. The Biennial celebrates the diversity of authentic Reform Judaism here in North America, and of progressive Judaism throughout the world. We can see the diversity of Reform Judaism right here in our own Burlingame congregation. Every possible practice, it seems, can be found within our members’ homes. Peninsula Temple Sholom is a model for both the diversity and evolution of Reform Jewish practice. My family became part of the PTS community in the early 1990s, and under Rabbi Raiskin z”l and Rabbi Feder, we’ve seen rituals come and go, and traditions reinvented and reinterpreted. Constant change is here to stay. Constant change is the earthquake-proof foundation of Reform Judaism as we reevaluate what works, what is meaningful, and what speaks to our collective minds, souls, and spirit. As part of my role as a board member with the Union for Reform Judaism, I’m privileged to attend worship services at Reform synagogues all over North America. From Burlingame to Berkeley, from Dallas to Denver, from Seattle to St. Petersburg, from Boston to Brooklyn, from Los Altos to Las Vegas, from Palm Desert to Phoenix, every shul is different. Every rabbi, every cantor, every service. The tunes and readings and prayers are the same, but sometimes they are unique. Some synagogues use Mishkan T’filah, some still use Gates of Prayer, and others use their own home-made siddurim. The onegs. The motzi. The engagement of the congregation, of lay leaders, of young people, of guests. Never the same in two synagogues. Yet each time, it’s authentic Reform Judaism. I am proud to be part of the most vibrant Jewish movement in North America. I am proud to be part of a movement that is authentic, organic, energetic, growing, engaging, advancing, evolving — well, moving. That’s why we’re a movement. Reform Judaism never stands still. Justice, justice shall you pursue, that you may live, and inherit the land which the Lord your God gives you. Those famous words are from Parshat Shof’tim, which this year was read in mid-August. As we begin our preparation for Rosh Hashanah and the Yamim Noraim (Days of Awe), let us not leave the wisdom of Shof’tim behind. 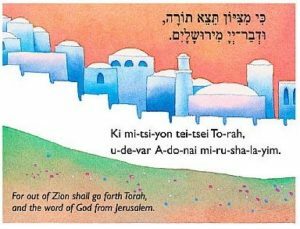 In Hebrew, the first three words of this commandment are “tzedek, tzedek, tirdof.” The word “tzedek,” or “justice,” is repeated, and according to many commentators, the repetition provides special emphasis. Justice means more than following the literal meaning of laws. That’s necessary but not sufficient. Rather, we are instructed to treat others — not just our family, not just our friends, but everyone in our community — with dignity, fairness and compassion. Our synagogue, Peninsula Temple Sholom, is a member of the Union for Reform Judaism, and one of the flagships of the Reform movement is the Religious Action Center of Reform Judaism, established in Washington, D.C., in 1961. 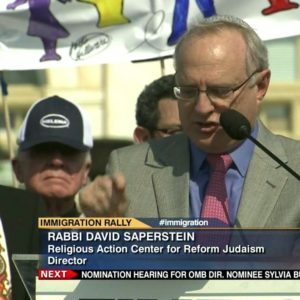 Under the visionary leadership of Rabbi David Saperstein, the RAC has become influential in the United States, Israel, and the rest of the world, fighting for programs like comprehensive immigration reform, the Convention on the Rights of Persons with Disabilities, reducing gun violence, abortion rights, LGBT marriage equality, civil liberties, supporting Women of the Wall, and much, much more. I am very proud of the work done by the RAC, and to call Rabbi Saperstein a friend. Closer to home in California, there is a new organization called Reform CA — which was created this February by the Pacific Association of Reform Rabbis (PARR) and our own Rabbi Dan Feder, right here in the PTS Chapel. Reform CA is a campaign of the California Reform Movement to act powerfully together for justice in our state. As a project of all the social justice initiatives of the Reform Movement: the Peace and Justice Committee of the CCAR, the Religious Action Center, and Just Congregations, we feel called to come together as a Movement to play a role in repairing the California dream. We join with one another to address systemic issues of injustice that hurt our families and our brothers and sisters across lines of race, class, and faith. Justice has been at the foundation of our Movement since its inception and we proudly stand on the shoulders of the giants of justice who came before us. Acting together, we are partners to one another, as we seek to build a California that is just, compassionate, thriving, and inspiring. Reform CA is currently focusing on immigration reform. For example, it is lobbying for the Trust Act, a piece of California legislation that limits the state’s participation in Secure Communities, a Federal program that requires state and local law enforcement to share the fingerprints of people booked in local jails with immigration officials — and can lead to deportation of young people who have done nothing more than call the police to report a local crime. Become part of the Reform CA initiative by visiting the group’s Facebook page at http://tinyurl.com/reformca. Close to home, let’s think globally and act locally. You’ve heard that expression, and it’s coming to life in an exciting new initiative at Peninsula Temple Sholom called Kolot. Kolot: Connecting Our Voices. We come together in congregation-wide conversation to foster relationships, deepen trust, identify issues that impact our lives at PTS and beyond, and go into action together. We understand each other better when we listen to one another. We multiply our potential to bring about change when we raise our voices together. Acting powerfully for justice, we create a community that is bonded, compassionate, thriving, and inspiring. The change we make is up to us, and it begins with telling our stories and getting to know each other better within the PTS community. You will hear more about Kolot (pronounced koh-LOTE) over the High Holy Days from our clergy and from the lay leadership. Kolot is co-chaired by Heidi Schell, a member of the PTS board, and Neal Tandowsky. Working tirelessly on this effort is a large steering committee, as well as Rabbi Feder; Rabbi Rebekah Stern; Rabbi Stephanie Kolin, Co-Director of Just Congregations at the URJ; and Sister Judy Donovan, a community organizer with the Bay Area Industrial Areas Foundation. Thank you all! This new initiative is the next phase in our Sukkat Shalom, our shelter of peace, and has the potential to transform both Peninsula Temple Sholom and our community. Please connect your voice to ours. Tzedek, tzedek, tirdof. Justice, justice, let us seek it together. The flickering television screen caught our eye as we sat sipping cold drinks at a Burger King in Parker, Arizona. 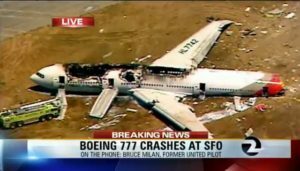 Miles deep in the Sonoran Desert, between Twentynine Palms and Scottsdale, we were tired and thirsty – but our family couldn’t escape the horrific photographs of the Asiana Airlines 777 crash at SFO. In those first few moments, it was too soon to know the fate of the aircraft’s crew and passengers, but seeing the shocking images, we assumed that nobody could have survived. Fortunately, that early assessment was swiftly proven wrong. Still, three young people, Ye Meng Yuan, Wang Lin Jia and Liu Yipeng, lost their lives, and dozens more were injured. Only a couple of days later, a small plane crashed at Soldotna Airport, a small field in southern Alaska, killing all 10 passengers and crew. A train derailed in Lac-Mégantic, Quebec, with at least five people dead. Death can strike at any time, whether by accident, disease, crime, or war. Nearly 30 years ago, a dear friend of mine was jogging in Orono, Maine, when she was hit by a bicycle. She was pronounced dead at the hospital. You can imagine the shock. Also in Maine, over the most recent Fourth of July weekend, another shocking death. According to my hometown paper, the Bangor Daily News, “…the fatal accident happened during the parade at Main and Water Streets. An officer on the scene reported that a man operating a green tractor turned right onto Water Street and was struck from behind by a vintage Bangor Hose 5 Fire Museum fire truck.” Death doesn’t get more random than that. In early July, senseless tragedy struck Camp Tawonga, the Jewish camp near Yosemite National Park, when a tree fell onto a campfire circle. Four camp counselors were injured; a fifth, Annais Rittenberg, lost her life. She was a 21-year-old student at U.C. Santa Cruz. Take a moment and think about family, friends, colleagues, and neighbors taken far, far too soon, ravaged by physical or mental illness, or who had the simple misfortune to be in the wrong place at the wrong time. As it says in Proverbs, “Zecher tzadik livracha,” “The memory of the righteous shall be for a blessing.” At these times, there is no better source of comfort than the loving embrace of the synagogue – and of our clergy and community. We live as a community. We study and worship and raise our children as a community. Sometimes, we grieve as a community. Remember the unbelievable San Bruno gas explosion in 2010 − only a few blocks from our own house. In that tragedy, 58 individuals were injured and seven were killed, including one of our son’s closest friends, Will Bullis, and Will’s father and grandmother. The PTS clergy, professional staff, lay leadership, and entire congregation worked tirelessly to ensure that every congregant was alive and accounted for, and to see how we could heal that shattered neighborhood, those broken families. Here at Peninsula Temple Sholom, Rabbi Feder, Rabbi Stern, and Cantor Reich are a comforting presence, whether you have suddenly lost a loved one or are dazed after a disaster like the 777 crash or the San Bruno gas explosion. The professional staff, led by Sandy Silverstein, make arrangements as seamless as possible. The lay-led Caring Community team, chaired by Janice Katz and Wendie Fetterman, are always there to help. As we head into the High Holy Day season, consider the many reasons to participate in the Peninsula Temple Sholom community. Providing a Jewish education for our children, yes. Adult learning and Shabbat worship and festival observances, of course. Celebrating a simchah, obviously. Coming together in difficult times — always. 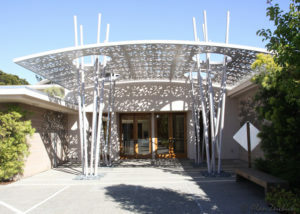 Without your generosity, the canopy of peace over Peninsula Temple Sholom would not be possible. We appreciate your financial support for our Sukkat Shalom. And may the memory of our departed friends and loved ones forever be a blessing. Roses are sure to brighten up everyone’s day. The best place to see roses is the International Rose Tea Garden in Portland, Ore. Coming in a close second is the patch on the Rivera Drive side of the Peninsula Temple Sholom parking lot. This year, the blossoms are extraordinary. You can become lost in the fragrance. Like many of you, I don’t spend much time in that part of the parking lot. However, on one gorgeous May afternoon, Rabbi Feder, Sandy Silverstein, and I walked around the PTS campus, marveling at the blossoms, checking out the new retaining wall on Sebastian Drive, seeing the construction progress of the new Holocaust memorial (now located outside the Cantor’s office), and enjoying the refurbished white dome over the Sanctuary. • Outdoor improvements. We’ve already mentioned the dome, the rose garden, and the retaining wall. Have you seen the new footpath from Sebastian Drive to the parking lot? Particularly popular with congregants is the new Jerusalem stone resurfacing of the Courtyard near the Lent Chapel. There’s been lots of landscaping as well, in addition to the roses. • Social action and social justice. This was a big year for social action, centered in large part in our continued participation in the Home & Hope program, through which we temporarily house the homeless at our facility. New this year is the launch of a community organizing project through which we are partnering with the Union for Reform Judaism’s Just Congregations initiative and the Industrial Areas Foundation. This initiative is still in the formative stage; I will discuss it more in the fall. • UnEvent! fundraiser. Member dues and fees contribute only part of the Peninsula Temple Sholom revenue streams. In order to balance the budget, the congregation needs the High Holy Day Appeal and a spring fundraiser. This spring, we held the UnEvent!, a straight-up request for donations. Response to the UnEvent! exceeded our expectations — so thank you for your generosity. If you haven’t yet participated in the UnEvent!, don’t worry, there is still time. • Youth activities. PARTY – our branch of NFTY, the Reform Movement’s teen group – is a blessing to our congregation. These young people do so much, and an example of that was their hosting the Mitzvah Torah Corps regional event in March. From strength to strength! • Preschool. It’s Must-See TV: Watch a short video of this year’s Preschool Passover, at http://tinyurl.com/ ptsseder2013. The script was written by Allison Steckley, Preschool Director. Pharaoh is a real meanie, the Burning Bush is wise and worth listening to, and the locusts are, well, you need to see for yourself. On a more serious note, kudos to our wonderful teachers for, yet again, qualifying for NAEYC, the National Association for the Education of Young Children, a top certification for early childhood education. • Religious school. With its bold new curriculum and dedicated, hard-working teachers, the school is a jewel of our community. If you are a Religious School parent, you know what I mean. If you don’t have a child in the school, though, it’s naturally harder to see and appreciate what goes on inside and outside the classroom. Unless, that is, you attended the Yom HaShoah service on April 12, led by our seventh graders. From the candlelight procession in the foyer to the original readings by the students, this service touched your heart and moved your soul. • Meaningful worship. Let me single out the introduction of Visual T’filah for High Holy Day services in the Lent Chapel for special mention. The whole notion of “davening by PowerPoint” seems silly – until you realize how uplifting it can be to escape from the constraints of a printed machzor. Look for more Visual T’filah during this year’s Yamim Noraim (Days of Awe). • Wonderful partnerships. Peninsula Temple Sholom works closely with other congregations and Jewish organizations. Particularly noteworthy: In early April, PTS, Peninsula Temple Beth El of San Mateo, and the Union for Reform Judaism hosted a major symposium on Reform Judaism in the West, which drew participants from the entire western U.S. and Canada. In February and May, PTS, Beth El, and Congregation Beth Am of Los Altos Hills kicked off a series of lectures and workshops by eminent scholars from Hebrew Union College’s Los Angeles campus. • Welcome, welcome. 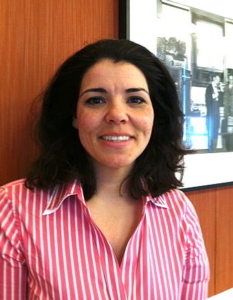 Let us welcome again Sandy Silverstein, who joined us in July 2012 as Executive Director. Sandy, you are such a blessing to our community. Welcome back, Rabbi Rebekah Stern, from your maternity leave. Once again, mazal tov to you and Sean on the arrival of Jonathan Hillel Holcombe. • Board changes. On behalf of the Board of Trustees, let me thank retiring trustees Ida Gruber and Fred Sturm for their dedicated service on the Board. Fred served an amazing 10 years as a Trustee! We also thank incoming trustees Andrea Sobel and Reid Liebhaber; they bring incredible talent and enthusiasm to the Board. • Special awards. Please join me in congratulating the following: Sandy Tandowsky, honored as the L’dor Vador recipient from Brotherhood; Linda Korth, named as the Woman of Valor by Sholom Women; Michelle Tandowsky and Scott Rodrick, voted as Trustees of the Year by the Board; Sheryl Goldman, recognized as Volunteer of the Year at the Annual Congregational Meeting on May 22; and Diane Goldman, named as the Ner Tamid (the Eternal Light) also at the Annual Meeting. • Tremendous volunteerism. The best Erev Shabbat service of the year was on Friday, April 19, when members of the Board of Trustees honored the hundreds of volunteers in our congregation, as well as the Past Presidents for their continuing contributions. Hundreds of volunteers. Yasher koach, thank you, thank you all! If you were in the Sanctuary on Friday evening, March 15, you know that it was a perfect Erev Shabbat service. You felt the ruach, you were infused with the Shabbat spirit, and you went home with a happy glow that (I hope) lasted through the entire weekend. The evening stood out for two reasons. First, that service kicked off a Scholars-in-Residence weekend with the rabbis from the Bay Area Jewish Healing Center. Second, Peninsula Temple Sholom was hosting the regional Mitzvah Torah Corps event from NFTY, the North American Federation of Temple Youth. That beautiful Erev Shabbat evening, everything came together with a smile and a snap. Let me explain. NFTY, the teen youth organization for the Reform Movement, has a tradition that when someone does a great job, you show praise by snapping your fingers. No applause, no calls of Yasher Koach; just a gentle snapping. There was a lot of snapping on Friday night. The Sanctuary was packed, with congregants sitting on the left side of the room, and NFTY teens on the right. The service was filled with songs, worship, and readings led alternatively by the teens and Rabbi Dan Feder. Meanwhile, Cantor Barry Reich was accompanied by Sarah Edelstein, a U.C. Santa Cruz student who is also a guitar-playing song leader at Camp Newman. From time to time during the service, a teen would ascend the bimah and read a statement about what NFTY meant to him or her. Some of those words were so moving, they brought tears to the congregation. Seeing those smart, motivated teen leaders, I have no worries about the future of the Jewish people. Mitzvah Torah Corps is a major event, sponsored each year by the Central West Region of NFTY. Our congregation’s PARTY teen social group is a NFTY affiliate. About 90 NFTY teens came from all around Northern California, including the Burlingame area, Fresno, Sacramento, Los Altos, San Mateo, the East Bay, and Carmel. For the teens, this weekend focused on education social action. For example, the teens worked on the Three A’s of Social Action: Action, Advocacy, and Awareness. They also learned about developmentally disabled people, their abilities, and how important it is to use words that respect individuals, not insult or stereotype them. During the weekend, the teens also elected a new regional board. Snaps to our own Sandy Karp (daughter of Robin and Ron Karp), chosen as incoming President of the NFTY Central West Region! Let me also give a shout-out to the many members of PARTY (PTS’ youth group) who participated in the Mitzvah Torah Corps weekend: Adam Battat, Justin Battat, Jason Cohen, Andrew Ezersky, Jeremy Ezrin, Andrew Friedeberg, Eva Heller, Lauren Isackson, Jake Karp, Sandy Karp, Anna Kurzrock, Anna Leemon, Sarah Levin, Zach Levin, Harris Silk, Marnie Sturm, Olivia Tandowsky, and Sarah Wisialowski. More snaps go to Yael Zaken, our congregation’s Youth Director, who played a major role in organizing the weekend. And more snaps to the many Temple families who opened their homes and hosted the teens at their homes over the weekend. In addition to hosting the Mitzvah Torah Corps, Peninsula Temple Sholom invited three rabbis from the Bay Area Jewish Healing Center as scholars-in-residence that busy weekend. During the Friday night service, we heard from Rabbi Eric Weiss; on Saturday and Sunday, there were programs with Rabbi Jon Sommer and Rabbi Elliot Kukla. The San Francisco-based Jewish Healing Center, established in 1991, is a tremendous resource — one of the true pillars of our community. The Center trains volunteers who visit hospitals throughout the Bay Area; it supports the Jewish End-of- Life Care Program and hospice initiatives; and it provides resources for those who nurture those suffering from mental illness. 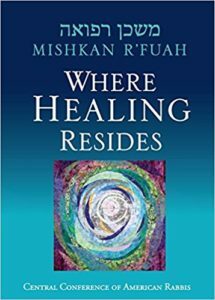 Rabbi Weiss is the author of the brand-new Mishkan R’fuah: Where Healing Resides, a little book filled with contemplative readings and prayers for many different moments of spiritual need, including illness, surgery, treatment, chronic illness, hearing bad news, transitions, addiction, infertility, end- of-life, and more. Look for the book in the Starr*Stevens Judaica Shop. It’s the best $6 you’ll spend. I offer snaps for this wonderful weekend to Rabbis Weiss, Sommer, and Kukla for their compassion, scholarship, and leadership; to congregant Neal Tandowsky, who chairs the board of the Bay Area Jewish Healing Center; and to Liz Gottfried, who chairs our Life Long Learning committee. And I thank everyone involved in making the Erev Shabbat service on Friday, March 15, into a truly perfect evening. These snaps are for you! I am delighted to report that the Board of Trustees has voted to offer Rabbi Dan Feder another contract to remain at Peninsula Temple Sholom. The vote was unanimous (20-0), which is a strong message of support for our congregation’s spiritual leader. Hiring and managing the Temple’s senior professional staff and clergy is one of the most important responsibilities of the Board of Trustees. (Some of the others are managing finances, approving an annual budget, overseeing our investments, attracting and retaining members, and setting policies.) This vote about the rabbi’s contract may have been the single biggest action for this Board term. The basics: Rabbi Feder’s current five-year contract began July 2009, and ends June 2014. The contract specifies that the Board will let the rabbi know our intentions about renewal 15 months before the contract ends – that is, in spring 2013. That long period protects both parties’ interests: Should the Board vote not to renew, we have time to find a new rabbi, and the rabbi has time to find a new job. Within the Board, the process of evaluating Rabbi Feder’s performance, and recommending renewal or non-renewal, fell to the Personnel Committee. The P.C. consists of April Glatt (chair), Scott Rodrick, Lauren Schlezinger, Michelle Tandowsky and yours truly. This is a responsibility nobody took lightly, and the evaluation process spanned many months. The process itself was briefly described in my column in the December 2012 Bulletin, and in more detail in a document posted in the Member’s Only section of sholom.org. As part of this process, the P.C. solicited feedback from congregants, and also personally interviewed dozens of individuals. An overwhelming majority of the letters and conversations urged us to keep Rabbi Feder here at PTS. Congregants opened their hearts about the beautiful connection Rabbi Feder had made with families through worship, teaching, lifecycle events and pastoral care. Some were particularly impressed by how much Rabbi Feder has grown since joining us in mid-2006. However, there were certainly letters and conversations offering a different perspective, especially from those who had not bonded with Rabbi Feder or who don’t like that PTS feels quite different today under Rabbi Feder than it felt under Rabbi Gerald Raiskin z”l. While those communications represented a definite minority of comments, the P.C. considered those as well. 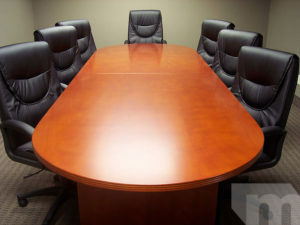 Indeed, the Personnel Committee discussed every letter, every email, and every face-to-face conversation, pro and con. We added our own observations of the Rabbi’s performance in many areas which aren’t as visible to the congregation, such as a manager, fundraiser, and administrator. Weighing all the data, the P.C. unanimously recommended that the Board renew Rabbi Feder’s contract, and as mentioned above, the Board voted unanimously on March 13 to accept that recommendation. This is a good decision. From my own perspective as a lay officer of the Union for Reform Judaism’s own Board of Trustees, I attend services at Reform synagogues all across North America, and work closely with rabbis of all ages, skills and styles. Dan Feder stands out due to his warmth, his scholarliness, his menschlichkeit, his caring, his spirituality, his ethics and his passion for Judaism, social justice and our congregation. We are blessed to have Rabbi Feder here at Peninsula Temple Sholom. Sandy Silverstein is a mensch. That’s what I thought, upon meeting him via Skype in early January 2012, and in person in Westport, Connecticut, later that month. Sandy oozes professionalism, competency, and yiddishkeit, which are vital characteristics of a synagogue executive director. Sandy is also spiritual, and frequently reminds me that our decisions should always be based on Jewish values rooted in Jewish text, including the Torah and Talmud. Sandy and his wife, Meryl, moved to our community at the end of June, and he began working at PTS on July 1. Collaborating with Sandy on a near-daily basis is one of the joys of my term as congregational president. While Sandy has met and talked to many PTS congregants, seven months isn’t close to enough time to meet everyone. To jump-start that process, let’s find out what makes Sandy tick. Alan: Sandy, please tell us about your family — Meryl, the boys, pets… and of course, grandchildren. Sandy: Meryl and I have been married for 37 years. We are living in San Mateo, where Meryl is now an active volunteer at the local high school as well as at PTS. We are the parents of two wonderful sons, Stephen and Howard. Stephen is Assistant Professor in Spanish at Baylor university in Waco, Texas, and he is engaged to Alla Aksel, who is completing her Ph.D. in electrical engineering. Alla works for Northrop Grumman, a defense contractor. The wedding will be this summer! Howard is married to Jess. They both work for the State of New York, and make their home near Albany. They are the parents of our two adorable grandchildren, miles (almost 3 years old) and Skylar (8 months old). Our home would not be complete without our Irish Setter, Scarlette. She is a “rescue.” All of our dogs have been rescues. meryl used to foster dogs waiting for adoption. Alan: You are a native of St. Paul, Minnesota, who spent many years living in New England. As you settle into the Bay Area, what has surprised you about life Out West? Sandy: When I arrived for my first day of work last July, I was firmly admonished, “Sandy, we don’t wear ties!” I learned quickly that what is considered dress-down on the East Coast is business casual on the Peninsula. Alan: Other than our Family Shabbat dinners and Judaica Shop, where are your favorite places to hang out, shop, and eat? Sandy: We are still exploring the Peninsula and the Bay Area. We do not hesitate going into the City with our out-of-town visitors, though the traffic is always a challenge. We have found a few favorite restaurants, like on Laurel Ave. in San Carlos, but are always up to trying new things. We even went to Livermore for wine tasting! Alan: When you visited our Temple for the first time, what impressed you most? Sandy: I could not get over the beauty of the Sanctuary. Truly stunning. Alan: You brought us a new sukkah and installed the new outdoor chanukiyah above the school entrance. Tell us about those beautiful additions. Sandy: I bring a fresh set of eyes to look at past practices, to see what new things I can bring to my work and to the congregation. The opportunity to showcase our holidays to everyone who comes to our Temple is one of the reasons we built a new sukkah and installed the beautiful 9-foot chanukiyah on top of the school. A congregant overheard a preschooler exclaiming to her mother in the parking lot, “Look — there are three more nights to Chanukah! ?” The child had counted the unlit candles remaining. Perfect. My background allows me to suggest such innovations. Stay tuned. There are more to come! Alan: When you brag to your friends Back East about your new spiritual home, what do you talk about? Sandy: You can guess — the weather! Also that PTS only does a single bar/bat mitzvah on a Saturday morning, instead of doubling them up. Alan: As we move into the spring, what’s on top of your PTS to-do list? Sandy: The biggest item is the annual operating budget. The budget is an expression of both our vision and values. Working with lay leaders and senior staff to create the budget is a major undertaking each year — but well worth the time and effort. The result is a wonderful year of well-attended programs, holidays, worship, learning, and community. Alan: You like to get to know members and their families. What’s the best way for them to meet you? Sandy: I hope people will come by and see me in the office. Free coffee, free conversation — what could be better? In our home, January 1 brings an important ritual – the changing of the calendars. We have pretty pictorial calendars in nearly every room of our home. Some rooms have multiple calendars. We have calendars of hummingbirds, the haunting Scottish Highlands, exotic sports cars, United States Marines, the rugged Maine coastline, adorable guinea pigs, historic computers, Renoir paintings, and lots more. Calendars are everywhere. This month, all the 2012 calendars must come down and be discarded. All the 2013 calendars must be removed from their protective plastic wrappings and hung with care. We need not change our Jewish calendars, of course, because we are still early in 5773. Thus, all we have to do is flip a page on the calendar from Home of Peace Memorial Park in Colma. Easy! Another calendar we don’t have to change for January 2013 is the PTS Master Calendar. You can see two versions of it yourself. one is on our website, www.sholom.org. The other is in this printed Bulletin, on the opposing page – neatly formatted, suitable for hanging on your fridge. The Master Calendar, maintained by Bev Rochelle in the Temple office, contains much more than what you see online or in the Bulletin. It is a key document that informs staff, teachers, and clergy about what’s going on every day at PTS — and outside our facility, too. Before you schedule a meeting or event at the Temple, please talk to Bev about the date, time, and space requirements, so she can check the Master Calendar for availability and conflicts. As the Temple’s long-time Webmaster, I rely upon the Master Calendar to help maintain the sholom.org calendar. our facility is busy nearly every day – jam-packed. As you would expect, the Master Calendar contains a wealth of data about worship services, including Erev Shabbat services, pre-service onegs and Saturday morning Shabbat services. The calendar includes the Lay-Led Minyan, each Saturday at 10:30 a.m. in the Multipurpose Room, and the Sephardic Minyan, at the same time in the Chapel. Each month there are dozens of worship services listed. The Master Calendar includes all of the details of Bar/Bat Mitzvah services scheduled several years in advance, as well as related luncheons, dinners, and parties held in our Social Hall. B’nai Mitzvah rehearsals are also listed, many of which are Sundays at 2:00 p.m. There are also all the Preschool Shabbats, held each Friday at 11:35 a.m. in the Chapel – and then Preschool Havdalah on Monday at 11:40 a.m. Most months, we also have a monthly Shabbat Tot ‘n’ Torah service. All the festivities for Chanukah, Purim, the High Holidays, and more are in the Master Calendar. That includes the Tu BiSh’vat dinner and mini-seder, the Second Day Community Seder, the Sukkot dinner, and Yizkor services throughout the year. It’s all there. Want to shop in the Starr*Stevens Judaica Shop? The dates and hours are listed in the Master Calendar, so that the Temple office can inform congregants and community shoppers. Meetings, meetings, meetings! The Master Calendar is chock full of them, including the Brotherhood Board on Sunday, January 6, Sholom Women on Sunday, January 13, the Board of Trustees on Wednesday, January 16, and many others. The calendar includes staff-only meetings, including a weekly Senior Staff/Clergy Meeting and other meetings for our teachers and administrative employees. Groups within our PTS community have their dates on the Master Calendar. Blankets of Kindness? Check. Brotherhood Bingo? Check. Rosh Hodesh for Girls? Check. Black & White Ball? Check. Sholom Women Chai Tea? Check. Mitzvah Chefs? Check. Women’s Drama Group? Check. There are even dates for the Hava Nashira band’s rehearsals on Thursday evenings. Education? You bet. The Master Calendar includes all the sessions of Preschool and Religious School on Sunday mornings, Monday nights, and Wednesday nights, and calls out dates when Religious School won’t be held. The calendar also includes special learning sessions, such as parent education. Youth events, too, for our young children and high school PARTY kids. Adult education is covered as well, including Lifelong Learning lectures on Mondays, talks during Religious School Sundays, Scholars in Residence, and additional programming. Plus, of course, it lists ongoing classes on Conversational Hebrew on Monday nights, Wednesday morning Back to the Source sessions and Jewish understandings of the Afterlife on Thursday mornings. Let’s not forget the monthly Hot Topic brown-bag lunchtime study group. PTS hosts congregational and community support groups, and those dates and times are on the Master Calendar. This includes Home and Hope, one of our most important Social Action programs, during which PTS provides temporary housing to homeless families. Last, but not least, are facility rentals. Some of these are one-offs, others are recurring. Not only do these rentals provide a source of income to the Temple, but by sharing our space with our broader community, we build bridges and deepen bonds with our friends and neighbors. The Master Calendar is big. It’s huge. It’s packed. It’s busy. It is a blessing to see how much goes on each week here at Peninsula Temple Sholom. What’s wrong with the dome over the Sanctuary? “Alan – come look! There’s a problem with the roof!” Hardly a week goes by when a worried congregant doesn’t grab my arm in the parking lot and point out the ugly black blotches on the formerly all-white Sanctuary dome. In 1991 or so, the Temple installed a gravel roof onto the dome. Right from the beginning, there was a problem with the light-colored gravel washing off in the rain, revealing the dark undercoating. The new dome surface will be environmentally friendly, as it will reflect the ultraviolet rays and heat of the sun during the summer months and retain the heat during the cold winter months. Best of all, no more white gravel to get washed away and no more unsightly black blotches. When is Rabbi Feder’s contract up for renewal? Rabbi Dan Feder’s current contract began July 2009 and ends June 2014. The contract says that the Board will vote on renewing the Rabbi’s contract in early 2013. That way, both the Rabbi and the Temple know what’s going on with plenty of advance notice, and can plan accordingly. In January, we will publish the usual notice in the Bulletin seeking feedback from the congregation about Rabbi Feder. All feedback will be reviewed, in confidence, by the PTS Personnel Committee, which consists of Chair April Glatt; Scott Rodrick, Lauren Schlezinger; Michelle Tandowsky, and yours truly. The Personnel Committee will make its recommendation to the Board of Trustees, and the Board will vote on Rabbi Feder’s renewal in the March Board meeting. A more detailed description of the process – which is designed to be open, fair, and thorough – can be found in the Member’s Only section of our website, www.sholom.org/members. Are the Temple finances healthy? The state of our synagogue is strong. For fiscal year 2012- 2013, Peninsula Temple Sholom has a balanced budget and stable membership. Most years, we end up with a small budget surplus, which has allowed the Temple to make extra principal payments to chip away at the $1.3 million mortgage. The mortgage is a remnant of the extensive renovation a decade ago, during which we extensively remodeled the Sanctuary and Social Hall, and of course tore down and completely rebuilt the Preschool/Religious School building, resulting in the beautiful Rabbi Gerald and Helen Raiskin Torah Center. Raise your hand if you remember High Holy Days at the San Mateo Event Center, or the year of Religious School in the portable classrooms! In fiscal 2012-2013, the Preschool is essentially at capacity. Unfortunately, we enrolled fewer students in the Religious School than budgeted. Eran Vaisben, Director of Education, has offset the tuition revenue shortfall through careful expense management. Thanks to your generosity, and despite the difficult economy, we predict a balanced budget yet again. Have you learned any interesting stuff about the Temple? Lots! 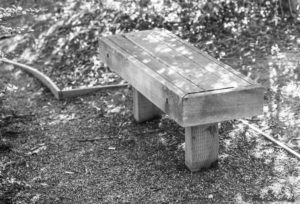 Let’s talk about the genizah and the Two Benches. A genizah is a storage space or underground vault where damaged sacred documents, called shaimot, are buried. Shaimot are worn-out prayer books, fragments of old Torah scrolls, faded mezuzah parchments, and anything unwanted but containing the name of God – which by tradition, we don’t simply throw away, but place respectfully in a genizah. The world’s most famous genizah is the Cairo Genizah, where more than 210,000 ancient shaimot were buried beginning around 1,200 years ago. It’s a treasure trove for historians and archaeologists. PTS’s genizah is much smaller. The original was located behind the Social Hall, but had to be moved during the renovation. In 2006, PTS opened a new genizah on the Rivera Drive side of the school staff parking lot, with a large commemorative marker set in the ground. See if you can find it! Behind the marker are pressure-treated boards covering the genizah vault itself, where the shaimot are ritually buried and allowed to decompose. Finally, poking around the PTS property a few weeks ago, I discovered a small unpaved walking trail that starts in the back parking lot off Arguello Drive. The trail starts up the slope away from the Temple, then turns to the right and heads toward the school building. On that trail are two small wooden benches perfect for meditation. I’ve been a member of PTS since the early 1990s, and had no idea that these existed. You might find me sitting on one of those benches next time you visit PTS. Zikh gezetst, let’s sit together. Bring a friend to synagogue! Judaism is a communal religion. We celebrate together, we mourn together, we worship together, we learn together, we play together. The sages taught that you can’t study Torah on your own. We need ten Jewish adults, a minyan, in order to have a full prayer service. While we observe Shabbat, Chanukah, or Pesach at home, it’s a lot more fulfilling to come together on Friday nights at the Sanctuary, at the annual latke fry, or at the community seder. Community. We are all part of the community of Peninsula Temple Sholom, all part of its congregation. Let’s expand our community by bringing our friends into this kehila kedosha, embracing them within our wonderful, sacred congregation. Community matters, but the reality is that the vast majority of Jewish families in the Bay Area aren’t affiliated with synagogues – 70%, according to a recent study. Let’s work together to reverse this trend. We can start by bringing new people into our congregation, into our community. Introduce them to PTS. Help them become part of our family. How? Let’s get tangible. Think about your Jewish friends, your Jewish neighbors, coworkers, those you meet all the time at yoga class, the dog park, the golf course, the book club, school group, professional association. Would they like to meet other Jewish families? Many of those people are simply waiting for an invitation — and would feel better coming for the first time with friends who can introduce them around. Remember, your friends do not need to be members of PTS to participate in the life of our congregation, to worship with us, to learn with us, to attend our myriad programs. Shabbat worship. Let me ask you to bring a non-PTS Jewish friend to at least one Shabbat service this year. We have a wide range of Friday evening Shabbat services, from the Tot ‘n’ Torah services for our youngest children, to the Family Services for school-aged kids, to Hava Nashira musical celebrations, and Kabbalat Shabbat. Saturday mornings, we not only have Shabbat services to celebrate B’nai Mitzvah, but also Sephardic and Lay-Led Minyanim. Bring a friend! Family dinners. During the school year, everyone can enjoy wonderful Family Dinners before Erev Shabbat services. Check the schedule on the website or in the Bulletin. Family Dinners aren’t only for religious school families, and your friends don’t have to be members to join us. So, nu, eat already! Nothing says “welcome” like breaking bread together, enjoying wine (or grape juice), singing the motzei over challah, sitting, laughing, and then attending a beautiful Shabbat service. Please come to at least one Family Dinner this year – and bring a friend! Adult education and programming. This year, our Lifelong Learning program features Rabbi Lawrence Kushner, Rabbi Naomi Levi, John Rothmann, Marty Brounstein, and many more. Invite your friends to listen and learn from these experts. Our wonderful clergy and senior staff teach classes ranging from Rabbi Feder’s Torah Today to Rabbi Stern’s sessions on the Jewish Afterlife to Eran Vaisben’s Hebrew Conversation program. Those classes are open to anyone in the community. Sign up and bring a friend! New this year is a partnership between PTS and the Bureau of Jewish Education. This fall’s lectures are by Frances Dinkelspiel, Rabbi Joshua Plaut, Ilan Vitemberg, and Vivi Toran. We hope you attend at least one of those programs – maybe your friends would like to attend as well. Community celebrations. The Hanukah Latke Fry. The Second Day Seder. Please join us. Your friends are very, very welcome to take part in all the festivities. When you bring your friends, please introduce them around to your fellow congregants, to our clergy and staff, to board members and lay leaders. We want your friends to feel welcome — and become our friends too, joining us in our community and our congregation. And who knows? Perhaps your friends will come to another Shabbat service or adult ed. lecture — bringing more friends. The more the merrier! That is how we build community. Together. Bring a friend! https://alanzeichick.com/wp-content/uploads/IMG_1720.jpg 600 840 Alan Zeichick http://alanzeichick.com/wp-content/uploads/alan-zeichick-logo.png Alan Zeichick2012-11-01 17:34:582017-03-18 17:37:38Bring a friend to synagogue! My 2012/5773 Rosh Hashanah speech at Peninsula Temple Sholom in Burlingame, Calif. The Hashkiveinu is one of our most beautiful and important prayers, and one of my favorites. Sukkat Sh’lomecha means a shelter of Your peace, in this case, God’s peace. The phrase Sukkat Sholom means roughly the same thing – a shelter of peace. Throughout the High Holy Days, we will hear from Rabbi Feder and Rabbi Stern about Sukkat Shalom as a new initiative here at Peninsula Temple Sholom. A shelter of peace doesn’t simply appear out of nowhere. Prayers alone won’t build it. Love alone won’t put food on the table during our Family Dinners. Kindness alone won’t pay the electricity bill. Someone has to build the Sukkat Shalom. Someone has to guard it. Protect it. Maintain it. Not just someone. It’s not for someone else to build our Shelter. It’s our job. 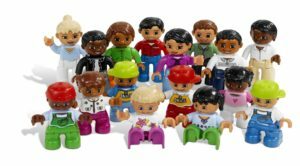 All of us – our clergy, our Temple staff, our lay leaders and you. We must work together to build and protect our Sukkat Shalom. Who are the people who build the Sukkat Shalom, the people who guard it and guarantee the shelter of peace? Let’s call them the Heroes of PTS. Heroes are in my thoughts because my son Michael is my biggest hero. You have seen him playing in the Hava Nashira band and serving as an usher during High Holy Days. You know, the tall, skinny red-headed kid on guitar, or working in the parking lot. He’s not here this year. Michael is observing Rosh Hashanah at the Marine Corps Recruit Depot in Camp Pendleton. Right now he is nearly half-way through Boot Camp, on his way to a career as a United States Marine. I miss Michael very much. I am wearing Michael’s Tallit these High Holy Days, and that helps us feel his presence. My son is not the only Hero of PTS. Look around you. We are surrounded by heroes, by people who built our shelter of peace and maintain it. Of course, much of the work is done by our Rabbis and Cantor, to our senior staff and teachers, from the office team to the custodians. They’re getting the bulk of the work done 24×7. Think about our beloved Rabbi Raiskin of Blessed Memory, who marched in Selma, Alabama, to support human rights. Rabbi Raiskin may not have thought of himself as a hero, but he was one to me, and to everyone whose life he touched. In our Reform movement, Rabbis and Cantors don’t sit around studying Talmud and debating Hillel vs. Shammai. They work hard. Oy, do they work hard! 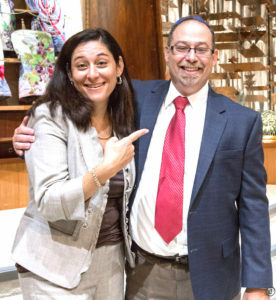 Rabbi Dan Feder and Rabbi Rebekah Stern work seven days a week. They prepare classes. They write sermons. They lead services. They visit the sick. They serve on committees. They provide one-on-one counseling. They perform conversions. Our Rabbis work in the community. They go to Shiva Minyans. They study. They teach. They listen. They learn. Our Rabbis are always available to you. And they do all this while also being good husbands and wives, strong parents to wonderful children. Only a selfless hero would choose the life of a congregational rabbi. We love and honor them for their hard work, and for their devotion to spreading a Sukkat Shalom over the North Peninsula. The same is true of the beloved Cantor Barry Reich. His truck is here every day – and so is his spirit. The ruach, the love, that our cantor has for this congregation and our children overflows. Our newest hero is our brand-new Executive Director, Sandy Silverstein. He hasn’t even been here three months, and what a difference he has made. Sandy, let me once again welcome you and Meryl to our congregation. I could go on and on about the amazing Allison Steckley, who directs our preschool, and the tireless Eran Vaisben, who has reinvented our religious school. The office staff, the preschool and religious school teachers, custodians and so many more. But let me talk about you. You are the real heroes. Our founders. Our past presidents. The members of our Board of Trustees, past and present. The committee chairs. The committee members. The Brotherhood men who set up our golf tournaments and fry latkes. The Sholom Women who staff the gift shop every Sunday and fund scholarships. The many volunteers. Everyone who comes to services, who brings kids to school, who drops off food for the food bank, sustains our shelter of peace. One of the joys of being president of PTS is getting to talk to many of you one-on-one. Doesn’t matter if you’re a founder of PTS or a new member worshipping with us for the first time today, I want to get to know you. The man whose work schedule changed and give him more free time. His first thought was to volunteer at the Temple. 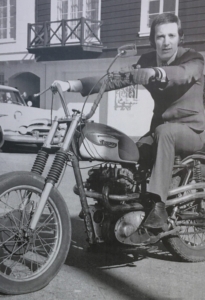 He contacted Brian Hafter, our immediate past president, and Brian brought him to me. This congregant will help launch a new legacy program to endow our Sukkat Shalom for future generations. You’ll learn more about this in the Fall. Another is a woman whose love for the congregation inspired her to join our Religious School committee. We met for coffee last week. This member is filled with ideas to engage school-age families with our Temple. She has incredible energy and is jumping in with both feet. If you have ideas or thoughts about our Temple, talk to me or Sandy or the Rabbis. If you want to have coffee or chat on the phone, let’s make it happen. If you want to volunteer to help build and sustain our Sukkat Shalom, thank you, and bless you. We need your support to build, protect and maintain our Shelter of Peace. This Rosh Hashanah, I am asking you to be a PTS hero in four ways. First: Say Thank You to our clergy, staff, teachers and lay volunteers. Their work is often unnoticed and thankless. A friendly smile, a warm hug or handshake, and a hearty “well done!” will put new spring into their steps. Second: Be an ambassador for our congregation. Bring your friends to Shabbat services and to our programs. Help us spread the canopy of peace far and wide through our community. We have two Scholar in Residence Weekends scheduled. There’s Rabbi Lawrence Kushner in November. And then Rabbi Eric Weiss and the clergy of the Bay Area Jewish Healing Center in March. Also, three support groups will be held during the year: a bereavement support group, a care givers support workshop, and a mental health support group. More programs will be announced soon. Please participate in those that fit your interests. Fourth: Support the Temple with your generosity. All of us support the Temple with dues, but that doesn’t cover all the costs of operating PTS. To bridge the gap, we rely upon our annual High Holy Day Appeal. We can handle every challenge if we come together as a community, relying on each other, sharing our strengths, resources and blessings. Your generosity allows our Sukkat Shalom to remain strong and vibrant. Thank YOU for being a Hero of PTS and for building our Sukkat Shalom, our sacred shelter of Peace. May the New Year be good and sweet to you, your family, and to our entire PTS community. Shana Tova.